Instagram may easily be my favorite platform. It’s where my community hangs out, and where I enjoy being. If you have been using Instagram for any amount of time, you know that hashtags are a necessity when trying to build your following and create community. Hashtags provide a way for users to easily navigate to topics of interest and find others that they can relate to. There are a variety of ways you can use hashtags and I recommend playing around a bit at first. You can now follow hashtags on Instagram, which I find so helpful for connecting with new audiences. In full disclosure, it took me a little while to get the hang of using hashtags. I now keep a running list of hashtags in my phone and on my computer, so I can copy and paste them when I post a photo. I actually have multiple lists, depending on what type of photo I’m posting, so I can easily grab them. Again, play around with some of these. If a hashtag doesn’t fit you and your brand, please don’t use it. You want to create natural engagement and followers you can relate to. It is NOT just about the numbers! Create a community you want to be part of. There are millions and millions of hashtags in the Instagram world and this is only a very small handful of hashtags for mom bloggers. You could even choose to use these hashtags as inspiration, and not necessarily use them on your photos. Some of these are very popular on Instagram, which will mean your photo will quickly get lost in the sea of photos. 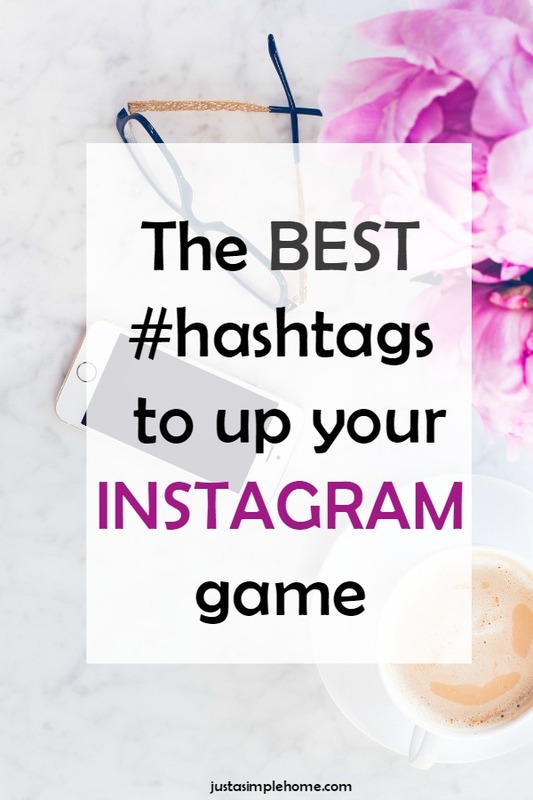 If you are just starting out on Instagram, I recommend using hashtags with less than 50k photos to give yours a chance to make it to the search page. As you grow, you can use larger hashtags. Created by Darling Magazine, this is 20k photos one I use in most of my photos. I love searching this hashtag, the images are so beautiful and crisp. Created by the A Beautiful Mess team, this hashtag is for every creative out there! Currently, there are well over a million photos with this hashtag, so I recommend using one of their smaller hashtags if you are growing your account. Their Instagram account is dedicated primarily to regraming their followers’ photos, and I love it. They also have #abmsummer #abmtravelbug #abmlifeissweet #abmpatternlove #abmmurals #abmlifeiscolorful. This is a hashtag created by Krystal at Sunny Sweet Days. There is an associated account that features bloggers being social, so you may end up with your photo being featured! This is a hashtag that is gaining popular but isn’t too big to be overwhelming. Brittany from The Ashmores Blog created this hashtag for all the mamas out there. There is a large majority of these mamas who are bloggers, so it is a perfect hashtag to use for mama bloggers! There is also a feature account for Joyful Mamas, so you may just get your photo featured! This was created by yours truly, after our Blogging With Heart group. We are a group of bloggers who lead with heart. There are many mom bloggers in the group, but also food bloggers, wellness bloggers, faith bloggers and more. When you use this hashtag, you’ll connect with bloggers who truly build one another up and want to create authentic community. This is new one for me and was created from Jenn at What You Make It and I’m so happy I stumbled on it! This is a great one to use when you have a smaller following and want to really connect with like minded moms. This hashtag was started by the Band.do company. Use this for a chance to get your photo regrammed as well. They look for bright, colorful, fun photos. 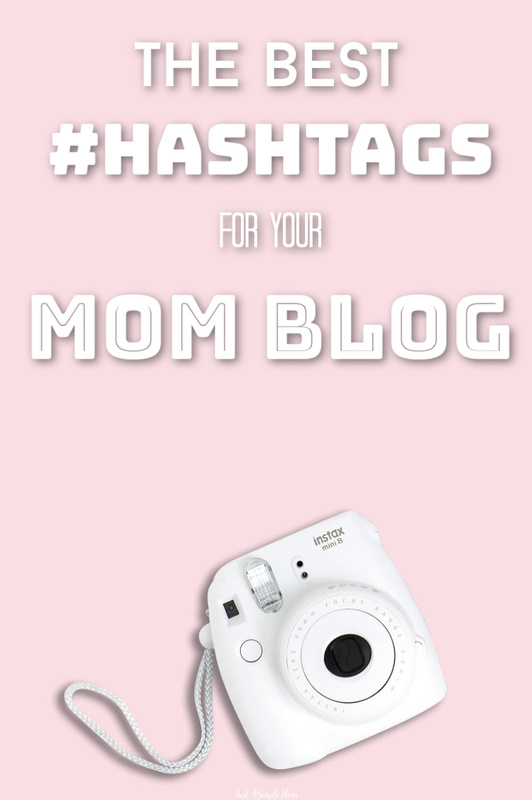 This is another smaller hashtag for mom bloggers, with around 40k+ photos. I really love this hashtag: every time I use it I get engaged followers with beautiful content. Another one that is super fun to use for creatives and creates a lot of community is from The Every Girl. This hashtag is super popular- over two million photos and climbing quickly. I do still love to use this hashtag on occasion because of the photos that I can find with it. They have a new challenge every month as well #teg30daychallenge and that tends to be very interactive. I gain a handful of new followers with this hashtag every time. I am a bit obsessed with this one! You’ll find a plethora of real moms, lots of pink, babies, and beautiful photos, all sharing normal mom life. I thought this hashtag would be more popular than it is. At around 700k, it is large enough to attract attention but small enough to give you a chance at being in the top nine. I am sure you have seen this hashtag while browsing Instagram! This is such a fun way to cultivate community! Use this hashtag to share another mom blogger with your community! Great way to build up a fellow blogger! Created by Jemma Craig, this hashtag stands for what it says – anything beautiful, feminine, soft, floral. There are almost ten million photos using this hashtag, so you can understand the popularity! Consider reserving this hashtag for some of your absolute best photos since there is so much competition. There is also #pursuebeauty, #pursuehappy, #pursuesimple and #pursuejoy which are much smaller. I love using this hashtag! It was created by Gina Poirier and it is so inspiring! Think about finding beauty and inspiration around you, no matter what you are doing – even the simple mom moments. Motherhood is a community itself and we should all be rooting for one another, just like a sports team. So far, it is slightly smaller, with under 400k photos, which makes this a really good choice. This one should be self explanatory, right? I really love genuinely connecting with the moms using this hashtag. This is a medium-ish sized hashtag. This one isn’t quite my style, but it is popular among moms. This hashtag portrays what mom life can be like, and is a good hashtag for those with a sense of humor. Think of little joys around you when you use this hashtag! This is a very large hashtag, so I don’t recommend using it with every photo you post. You will have a lot of competition when you use this one. Mommy bloggers unite in motherhood! Still somewhat smaller with less than 300k photos, this is a great hashtag to use for all things motherhood. I obviously think of “pay it forward” when I use this mom blogger hashtag. I’m sure that was the thought when it was created! Another great hashtag to use when you have blog content you want to share with others. Another smaller hashtag for bloggers, but is also full of mom bloggers. Created by Joy at Mornings Like These, this can be used to showcase what your morning looks like. I love this, because it is so interesting to peek into other people’s life when they start their day. #morningslikethis is an offshoot hashtag and much smaller, but just as good. Unless you have been using them for awhile, using hashtags can be a little overwhelming at first. It bears repeating – do not feel you NEED to use all or any of these. Instagram limits you to 30 hashtags per photo. You know yourself and the kind of community you want to create. Play around with them and find some that work best for you. Be careful though, it can get addicting! I love Instagram…it’s how I built my first real community using social media. You just need to be you and find your own voice. What are some of your favorite hashtags? Have you found any that have significantly helped you grow your own community? Pinning! This is a great list and reference. I always forget hashtags so it’s nice to have a list handy! This is such a great resource. Thanks for sharing these! I use a lot of these hashtags and see great results from them! I use a lot of the hashtags you mentioned. I didn’t know the back story of some of them though. They just pop up as suggestions from others I’ve used. I will have to follow some of these creators! Thanks for the info and help. I use a lot of these but see a few new ones I’ll have to try! Love #swirlsocial, #photosinbetween, and #thesparklediaries! I love this post! It’s great that you’ve listed your favorite hashtags, I’ve read several blog posts but they didn’t contain particular hashtags that are helpful. I will surely use these on my posts soon! Great suggestions! I use almost all of them but I need to add the #theeverygirl into my repertoire. These are so great, I’ve used some of them but some are new to me. Thanks for rounding them up! I use a lot of these hashtags, but I’ve never heard of #morningslikethese. That one sounds interesting! I’m not on instagram yet and trying to decide whether to take the plunge or not! I feel a little overwhelmed with blogging and social media as it is but instagram seems so beautiful and useful! Great list. Was just discussing the importance of hashtags in a FB group. I knew some, but only about half, of these! Awesome resource; thanks!! These are great! Most I’ve either never heard of, or didn’t know what they were for. I will have to add a few to my IG repertoire and see what happens. Love the idea of putting hashtags on the phone, too.